What starts out as an apparent attempt from the grave by Rory Randall to bring his three daughters -- all from different marriages -- together to bury sundry and diverse hatchets turns into a comic novel by beach novel specialist Nancy Thayer in "Island Girls" (Ballantine Books, 320 pages, $26.00). It's a book that will appeal primarily to women, but as I have written in my previous reviews of Thayer's books, men will enjoy the shenanigans -- and insights -- of her novels, too. Whenever I feel the urge to delve into a self-help book for ideas on how to cope with a problem, I stop myself and instead reach for a Nancy Thayer novel! 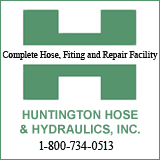 Thayer's people have problems, but they always seem to resolve them -- sooner or later. That was the case with her 2011 novel "Heat Wave", set on Nantucket Island, where transplanted Midwesterner Thayer lives and writes (link to my review: http://www.huntingtonnews.net/5412) and that's certainly the situation in "Summer Breeze." Arden, who hosts a popular Boston TV show about reducing clutter and simplifying your life, hasn't been back to the house and the island since her teenage years. She was accused of what could be construed as a crime and banished. Community college teacher Meg welcomes the stay in the house, hoping it will help her deter the amorous attention of her younger colleague Liam Larson. And Jenny, the daughter of a single mom who married Rory, wants to find her biological father, despite attempts by her mother, Justine, to consider Rory -- who adopted her -- to be all the father she needs. Arden and Jenny are currently without love interests, but as the summer heats up, so does their love lives. A TV station owner falls for Arden and a competing IT specialist and computer geek reveals that he's had a crush on Jenny for a long time. Don't forget Liam -- at 26 five years younger than Meg, who wants the time off from teaching to work on a biography of May Alcott Nieriker (1840-1888), author Louisa May Alcott's painter sister and the model for Amy in "Little Women." To their surprise, the enforced togetherness of living in the same house results in a healing of past differences. More complicated is the arrival of their three mothers and the three women's relationships with men. When yet another visitor drops by the house with news of a relationship with Rory, everybody is reminded of his attraction to women and his inability to resist temptation. 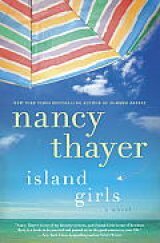 Nancy Thayer is the New York Times bestselling author of Heat Wave, Beachcombers, Summer House, Moon Shell Beach, and The Hot Flash Club. She lives in Nantucket with her husband, Charley Walters.